Can You Pinch a Nerve From Working Out? Improper form may do short-term damage. There are endless reasons why working out is good for you, but sometimes hitting the gym can hurt. 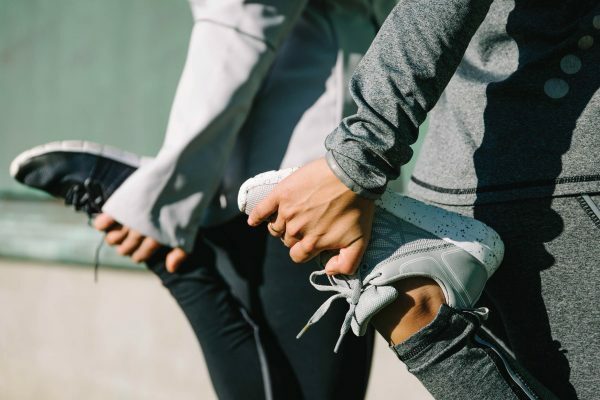 If you’ve ever left a sweat session experiencing sharp, shooting pain or muscle weakness in a specific area of your body—a different feeling than your typical muscle soreness—you may have pinched a nerve. If a pinched nerve sounds painful, it’s because it often is. Read on to find out how to treat and prevent a pinched nerve. Which exercises can cause a pinched nerve? A pinched nerve happens when surrounding tissues, such as muscles, bones, or tendons, place too much pressure on the nerve. This pressure affects the nerve’s ability to function and causes those less-than-pleasant symptoms. “Some common exercises that I have seen linked to pinched-nerve issues include overhead exercises, such as an overhead squat or overhead press; back squats; and deadlifts,” Latouche says. This is no surprise, given that pinched nerves most commonly occur in the neck, lower back, and wrist. It should be noted, however, that a pinched nerve can happen anywhere in the body. While overhead and back work may be prime opportunities for a pinched nerve to occur, you shouldn’t be overly concerned as long as you’re doing the exercises properly and maintaining good form. “Often I find [that] a pinched nerve during exercise may be [due] to improper technique, restricted joint movement putting a greater load on another region of the body, or an overload/repetitive stress to the body,” Latouche says. The neck and upper back are often tighter than other parts of the body. 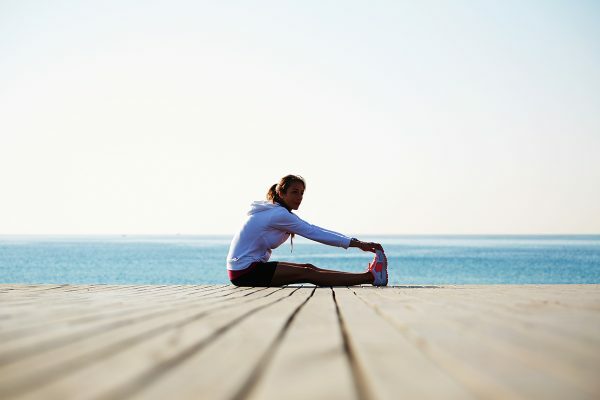 So, it’s important to stretch them regularly, including pre- and post-workout. Plus, a pinched nerve in your neck might contribute to other neck issues down the road, so it’s incredibly important to listen to your body and always check your form. Can you still exercise with a pinched nerve? If you don’t like to miss a workout, the good news is that you can still exercise with a pinched nerve. But you should take a break from movements that could cause further pain. If you think weight lifting is the culprit, hold off on heavy bench presses for a couple days. “What you want to be mindful of is modifying some exercises to stay within a pain-free range,” Latouche says. 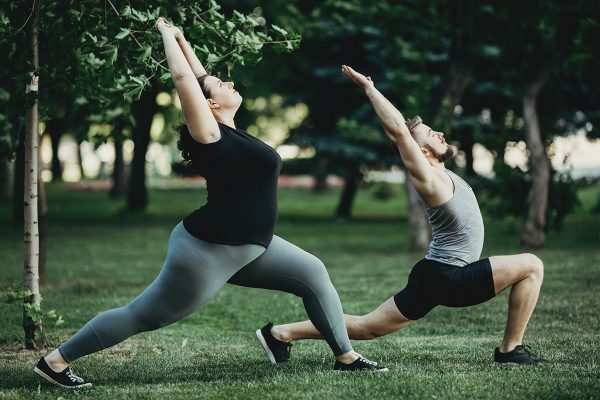 “Gentle stretching and slower mid-range movements may be helpful to the healing of the nerve.” Workouts such as yoga or Pilates are good, as moving your muscles can help alleviate further discomfort. Exercises that don’t put a lot of pressure on your joints, such as biking and swimming, are safer options, too. How do you heal a pinched nerve? Latouche says that physiotherapists, massage therapists, and chiropractors can help treat a pinched nerve, as they “all have techniques [to] use for the management of pain as well as making corrections to the source of the issue.” But if your pain doesn’t subside after rest—or it gets worse—it’s best to see your doctor to make sure you’re not dealing with another health issue. How can you prevent a pinched nerve? The takeaway? “Injuries happen, but I think the more you move, the better your body is able to respond to different stresses without an injury,” Latouche says. When it comes to fitness, think feet first. You can still move your body safely after hip trauma. Experts share how.